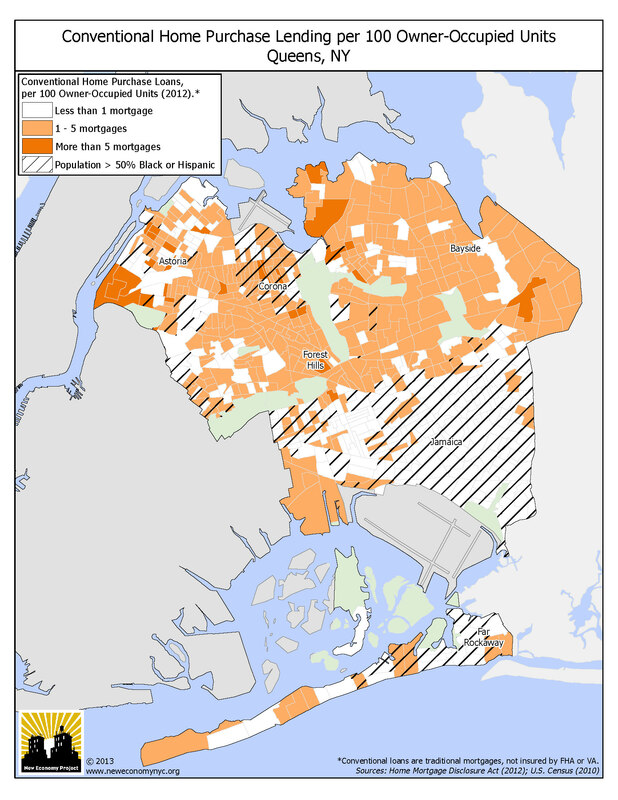 New Economy Project has prepared a series of maps showing unequal lending patterns, based on the racial composition of New York City neighborhoods. 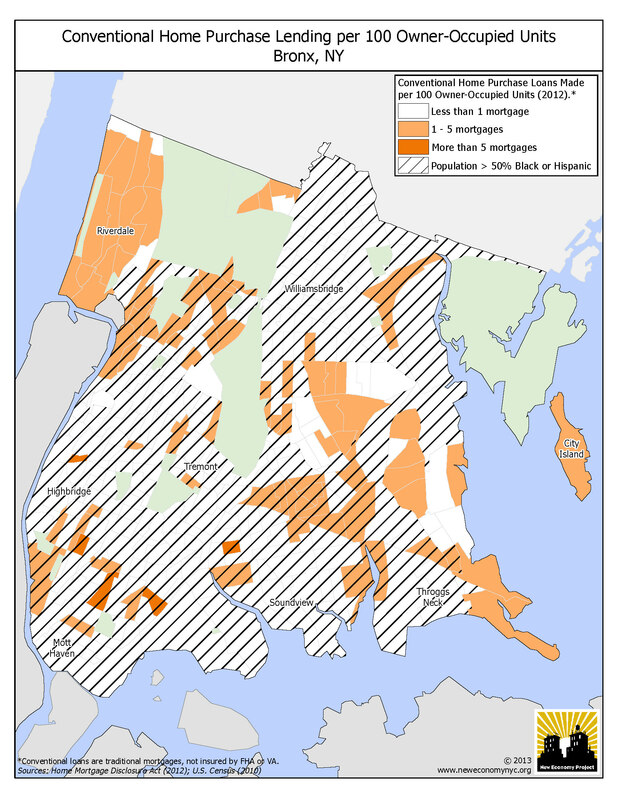 New Yorkers who live in majority white neighborhoods on average receive twice as many conventional home purchase loans as New Yorkers who live in majority black or Latino neighborhoods. 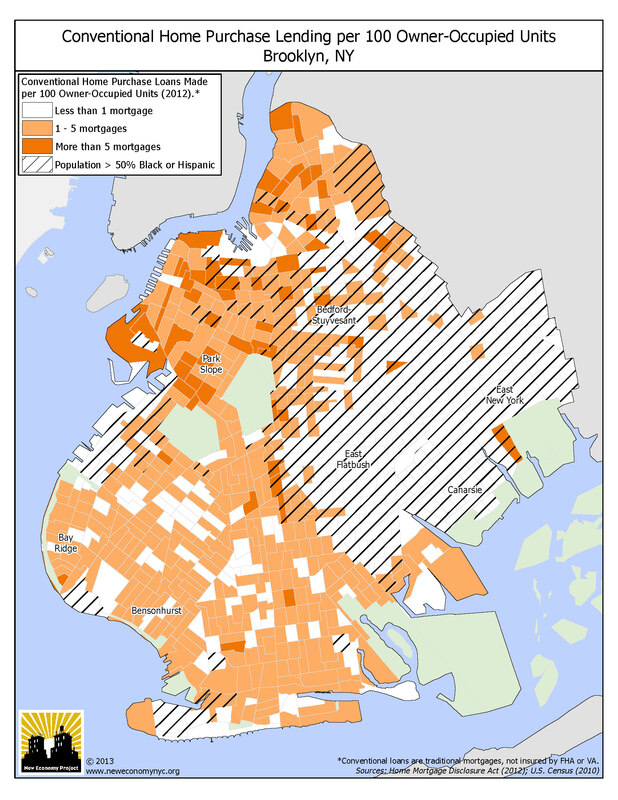 The series includes a map of New York City and borough-level maps of Brooklyn, Queens and Bronx. To prepare the maps, New Economy Project analyzed home mortgage lending data for 2012, the most recent year for which the data are publicly available.